I try to watch all the haunting movies I can find. Many of them follow a very similar story arc and I am rarely surprised by them. Not that this is a bad thing, I love ghost stories and I enjoy them in all their permutations. However, it is nice to find a haunting tale that is a little surprising. I found the awakening to be surprising. The Awakening is a mystery set at the height of the spiritualist movement in England. It is just after World War I and the Spanish Flu and charlatans claiming to speak to the dead are prolific. The heroine of this tale travels the country debunking fraudulent spiritualists and proving hauntings to be the machinations of man rather than manifestations of the dead. Of course, all this changes for our heroine when she is invited to investigate a haunting in a boys' boarding school. Initially, it seems that she will be able to quickly debunk the ghost story behind the boys boarding school, but as the haunting escalates, our heroine's wits begin to unravel and we often wonder if perhaps she is more haunted than the school itself. 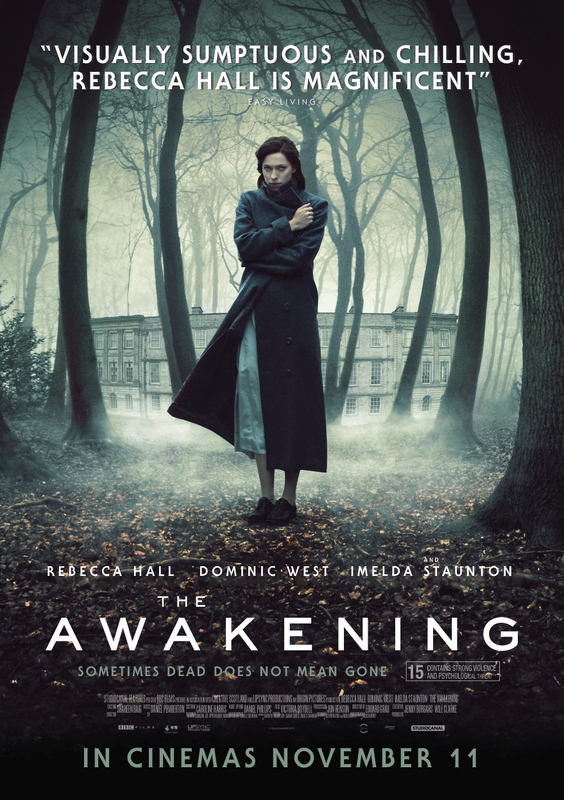 The Awakening does an amazing job of mixing the psychological hauntings of those who had survived World War I with the physical haunting of the school. The ghosts of the soul are just as terrifying as the ones that wander the school and the combination of both creates a beautiful tension in all the characters. I loved this movie in all its haunting beauty. I had not heard of this movie but it sounds great! I as well am an aspiring blog writer but I'm still new to everything. Do you have any tips and hints for novice blog writers? I'd genuinely appreciate it. "Notify me when new comments are added" checkbox and now each time а comment is addеԁ І get fouг emails with the same commеnt. you сan геmоve me from that servісe? I'll have to check it out. Haven't seen this one.